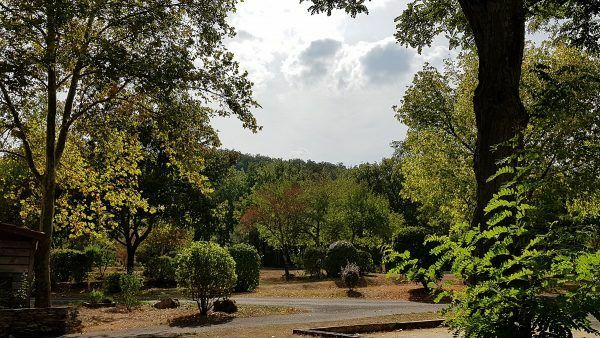 Intro by Campsite... 'Our camping is situated on a little hill with a magnificent view on a 13th century castle, le Peyruzel, and consists of 3 separate mini-campings. We have 30 sheltered emplacements in the forest, over 40 beautiful emplacements in terraces with more or less shadow, and a dozen terraces with a spectacular panoramic view. The emplacements are rather big, from 90 to over 160 m2. During the high season, families with children of all ages, from little ones to teens, are most welcome. Especially when looking for sociable atmosphere, activities, sports and some peace and quiet, and some active entertainment for the children. We offer a varied activities program, under the leadershipp of our animation team!